Let me be frank: the next administration could be disastrous to the movement for safe and legal access. The current federal “cease fire” on medical cannabis is based on two historic developments: a memo from the Department of Justice (DOJ) and an amendment to the federal budget. Both developments could be in jeopardy next year. But being a supporter of Americans for Safe Access (ASA), you know our talented staff is preparing to tackle whatever comes our way. Make a generous one-time donation or affordable monthly contribution to ASA today to educate federal lawmakers and rally our growing national grassroots base. Americans for Safe Access (ASA) has just learned that the World Health Organization’s Expert Committee on Drug Dependence (ECDD) decided to move forward with a process that may reclassify medical cannabis under international law. The debate about medical cannabis at the ECDD has been stalled for years, but persistent pressure by ASA members, staff and international allies has resulted in historic movement towards rescheduling. The influential committee will hold a special session to discuss medical cannabis in eighteen months. Christmas is almost here! If you are like me you are probably in a mad rush to finish decorating the tree and get those last minute gifts. ASA can help you complete your gift lists and your stocking stuffers without having to endure the mall! Did you know that it is illegal for federal agencies to distribute false information? Well it is, and the DEA has been doing just that with information regarding medical cannabis. So, last week, Americans for Safe Access (ASA), represented by the law firm Orrick, Herrington & Sutcliffe, filed a petition with the Department of Justice (DOJ) demanding that the Drug Enforcement Agency (DEA) immediately update misinformation about cannabis. Today, ASA and TheAnswerPage, an international resource for providing accredited continuing medical education since 1998, launched the Cannabis Care Certification (CCC) program. CCC is an online program designed to provide quality information about medical cannabis to individuals who are starting or considering cannabis therapy, and healthcare professionals looking to learn about the endocannabinoid system and medical cannabis. The program includes educational videos created for patients and caregivers to provide guidance for anyone interested in exploring medical cannabis as well offers courses that provide Continuing Medical Education credits to medical professionals. 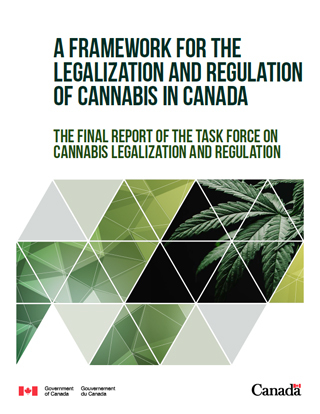 Today, HealthCanada issued a report with several recommendations for how the country can implement an adult-use (recreational) cannabis program. One of the recommendations is that Canada should maintain a separate program for medical cannabis patients rather than merge the medical program into the adult-use program. This recommendation is in step with ASA's recommendations to states when considering adult-use cannabis programs. The HealthCanada report recognizes that patients often seek difference forms cannabis and cannabis-derived products than what the typical adult-use consumer seeks to purchase. Maintaining a separately regulated system for medical cannabis patients is the best way that governments can ensure that patient needs are addressed in jurisdictions with medical and adult-use access. Washington State has experimented with merging its medical program into the I-502 adult-use program, which has led to reports of patients no longer have quality and consistent access to medical cannabis products. On Friday, the U.S. Senate approved H.R. 2028, a continuing resolution that will fund the federal government through April 28, 2017. The House approved the bill earlier on Thursday. The continuing resolution includes the Rohrabacher-Farr language from last year's Department of Justice's spending package, thereby keeping the protection in place for another four months before Congress must consider it again. The Rohrabacher-Farr amendment is arguably the most important current federal protection for medical cannabis patients and others abiding by state medical cannabis laws. The amendment has been upheld in several federal cases, most prominently in U.S. vs. McIntosh. In that decision, the judge held that prosecutions against those claiming to be in compliance with state medical cannabis laws cannot proceed unless the federal government could prove there was a violation of state law. However, the judge also said that the protection only is valid if the amendment remains in effect. Today, Americans for Safe Access (ASA) released a briefing book —“Medical Cannabis in America”— calling on Congress and the Administration to end the conflict between the federal government and States’ with medical cannabis (marijuana) programs. The report includes actions for the POTUS during the lame duck as well as the incoming Congress and POTUS. These actions would protect the more than 2 million medical cannabis patients in the U.S. by allowing local manufacturers, growers, and distributors to operate in accordance with their own state’s laws regarding medical cannabis without fear of federal interference. This week, the Buffalo Bills announced that left tackle Seantrel Henderson had been suspended for 10 games for violating the National Football League's substance abuse policy. Henderson has come out publicly to say that he has been using cannabis to treat his Crohn's disease. However, the league does not make any exceptions for medical cannabis use and Henderson was given his second suspension of the season for cannabis use. If he is caught violating the substance abuse rules one more time, he will be banned for life. Stories about Henderson's suspension and the relief he has found through cannabis do not say if he is a registered patient in the New York or any other state medical cannabis program. It's somewhat unclear as to whether Henderson could get a recommendation in New York. While the state recognizes irritable bowel syndrome as a qualifying condition, Crohn's disease in a separate condition that affects the digestive system. If Henderson is a patient, New York's anti-discrimination provision should prevent punitive action taken against him unless he was found impaired by cannabis at the workplace. Sadly, job discrimination is not uncommon for medical cannabis patients to face.